Submitted by admin on Tue, 03/20/2012 - 10:33. The Canadian Association of Computer Science/Association informatique Canadienne is pleased to announce the winners of the Outstanding Young Canadian Computer Science Prize for 2011. They are Professor Mathieu Blanchette of McGill University, Professor Michael Brudno of the University of Toronto, and Professor Joanna McGrenere of the University of British Columbia. These awards are given out annually to computer science faculty members in Canada who have had outstanding impact in their field within 10 years of graduation from their Ph.D. program. Short summaries of their research contributions follow. 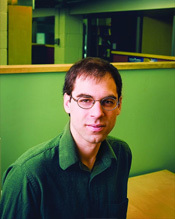 Professor Mathieu Blanchette is a world leader in bioinformatics and computational biology. He develops cutting-edge computational approaches for helping solve challenging biological and biomedical questions in the fields of genomics, proteomics, and evolution. His group has developed a number of key algorithms and accompanying software for comparative genomics and the annotation of the human genome. A highly collaborative researcher, his work has been published in more than 75 international journals and conferences. 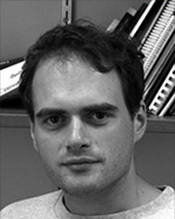 His contributions to the field of computational biology have been recognized by the International Society for Computational Biology, which awarded him the 2006 Chris Overton award, given annually to the most impactful young researcher in the field. He was a Sloan Fellow (2007-2009), sits on the editorial board of the leading journal in genomics, and is a program committee member of all the top international bioinformatics conferences. His work has received more than 4000 citations to date. His group of 10 dedicated students and postdocs is funded by NSERC, CIHR, Genome Quebec, Genome Canada, and the Canadian Foundation for Innovation. Michael Brudno is a Computer Scientist who has made fundamental contributions to Computational Biology, an interdisciplinary field that aims to solve biological problems through the development of algorithms and other computational methodologies. Dr. Brudno’s highly-cited research centers on the analysis of High-Throughput Sequencing data. HTS Technologies have enabled the sequencing of thousands of human genomes, but the analysis of terabyte-sized datasets generated by these machines required sophisticated computer algorithms. Dr. Brudno has made fundamental contributions to several problems in this field, from developing algorithms for rapidly identifying where on the “reference” human genome each read belongs, and hence inferring the differences between the genomes of various individuals, to building methods that attempt to reconstruct such genomes from scratch. Dr. Brudno has published award-winning papers on cloud computing, population genetics and comparative genomics. Dr. Brudno’s contributions clearly set him aside as one of the top young computer scientists, not just in Canada, but internationally. His is a stellar record of research productivity, student supervision, and scientific service. 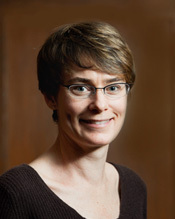 Dr. Joanna McGrenere works in the area of human-computer interaction (HCI), where she is a pioneer in designing technology for people with aphasia or other cognitive disabilities. More generally, she is an expert in interactive technology design for older users. Joanna is also a leader in the creation and evaluation of personalized graphical user interfaces that help users cope with the ever-increasing functionality available in software. She has been instrumental in the principled design of numerous specific interface advances, such as the ephemeral adaptation technique, as well as methods for the field evaluation of interfaces, and the development of guidelines for involving domain experts in the user-centred design process. Throughout this work, Joanna has set new standards for mentorship. Her first three Ph.D. students now hold tenure-track faculty appointments at the University of Manitoba, the University of Maryland College Park, and McGill University. Equally remarkable, 50% of her 28 past-and-present graduate students are female, whereas the average for computer science hovers near 20%. The scholarship of her work has been acknowledged with best paper awards at CHI, ASSETS, and IUI, major conferences in the area of human-computer interaction. She is the inaugural winner of the Anita Borg Early Career Scholar award, is a regular participant on conference program committees, such as ACM SIGCHI, and is an Associate Editor for the ACM Transactions on Accessible Computing.